Aloe vera is an all time ultimate product for beauty, this time protecting your skin. For centuries, the Aloe Vera plant has been used as a natural healer for the skin, hair and overall health. Moreover, in this fast-paced, people are now going back to their natural roots to reduce the effects of their lifestyle, pollution and stress on their skin. Benefits of aloe vera for skin are undeniable. If you are interested in soothing your skin and reducing the dullness on the face, then Aloe Vera might be the right product for you. Related: Why You Should Use Aloe Vera for Weight Loss? 1Is Aloe Vera Good for Skin? Yes, it certainly is. It is a natural emollient, which means that it can soften and soothe the skin. At the same time, it works efficiently as an ointment for skin diseases and allergies. Easy to use, its derivatives can be prepared with a moisturizer, a scrub or even soap. 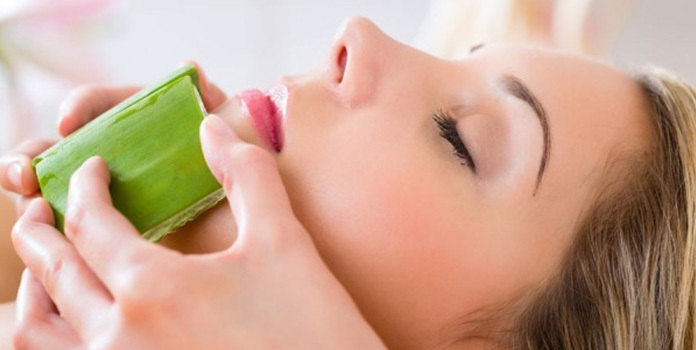 So, what are the benefits of aloe vera for skin? Read on to know! Many people are getting their first signs of wrinkles as early as their 20s. So worse, some people are complaining about bad skin! Our stresses plus sun exposure can result in premature skin aging. However, you can halt the time with aloe vera. It will prevent the early signs. Mix these ingredients together to form a paste. Apply evenly to your face, neck and hands. Wash it off after 30 minutes. The aloe vera gel will increase skin elasticity while moisturizing it. Oil will prevent wrinkle formation, and oatmeal will remove dead cells. The aloe vera gel, on its own, is an excellent moisturizer for the skin, whether it’s your hands, feet or the face. The gel can be taken by scooping its leaves and kept in a jar. For best results, keep the gel in the fridge so that it works as an emollient. This is one of those aloe vera skin benefits that shouldn’t be ignored. A lot of us have blemishes. Lighting them could be difficult. So even those acne scars can mar the beauty of our face. However, you can get rid of that. Aloe vera is also a great product for hair growth. Mix the two ingredients and apply it using cotton on your face or other places with blemishes and scars. Massage on the skin. Leave it overnight or for at minimum one hour. Repeat treatment twice a week. The scars would disappear with the lighting properties of aloe vera, and the bleaching properties of lemon will act as a special agent for faster results. Due to our stresses and lifestyle, we all get prone to acne problems. Acne results due to skin inflammation, which can be reduced if you know the right aloe vera uses for the face. Try this face mask for acne control. Mix all ingredients together and apply to the face. Keep it on till the Multani Mitti dries. Then wash it off with cold water. Pat dry. Use twice a week for two months to get results. Aloe Vera will reduce acne inflammation, fuller’s earth will reduce excess sebum while lemon with lightening scars. Also Read: 7 Amazing Beauty Benefits of Lemon. If you are involved in much field work, chances are your skin will burn from sun exposure. To reduce that, try this simple technique. Directly apply aloe vera gel to the burnt area. For more soothing effect, mix the gel with half the amount of curd. 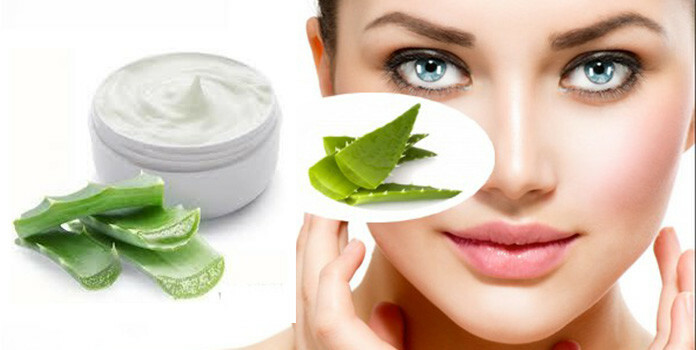 Curd will reduce skin irritation while aloe vera will soothe general inflammation and redness. Aloe vera skin benefits are quite commendable, especially because of its anti-inflammatory properties. Use aloe vera gel directly on the wounds or as a topical treatment for bites. The gel can be used as an aftershave as well. If your skin is excessively dry in winters, or if it appears chapped and unkempt, then you may have a lot of dead cells on the skin. Renew your skin by directly applying aloe vera leaves on the body. Slowly use the leaves, massage them in the circular motion and then wash off with mild soap and water. Also Pomegranate have awesome ingredients for skin renewal. Massage aloe vera juice directly on the chapped skin if you want instant moisture. Aloe vera has 20 of the 22 amino acids and therefore, the protein in its juice heals chapped skin. For best results, follow up this treatment with aloe vera gel. Plus the benefits of the aloe vera juice are uncountable. 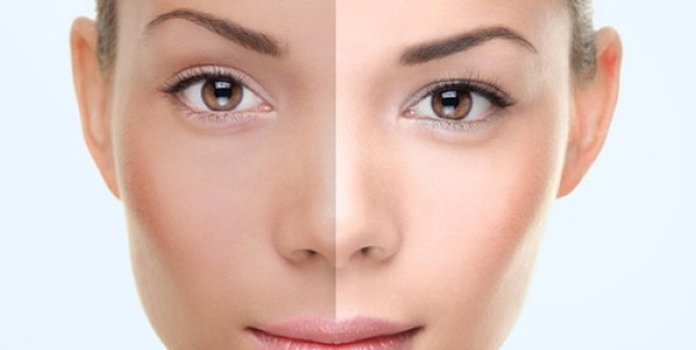 Do you often see that your skin looks brighter in the mind, but it seems dark and drab in the evening? Well, this happens because our skin loses oxygen throughout the day. However, with this aloe vera gel face wash, you can easily brighten your skin anytime. Simply mix aloe vera gel, some regular face wash together. Shake it so that the gel mixes in the face-wash. Now, whenever you wash the face, use this solution. Make sure that the mixture is small and made in batches. Use once a day, every day for best results. Pregnancy, weight gain, and weight loss can result in stretch marks. While you should own those stretch marks with pride, you can still reduce them if you want. The benefits of aloe vera for skin are incredible. Also, this includes their effect on stretch marks as well. Make a mixture and massage it on the stretch marks. Use it regularly and your stretch marks will begin to fade away. Also Read: Beauty Benefits of Coconut Oil You Should Try Everyday. We already mentioned how aloe vera gel can directly moisturize your skin. However, if you don’t like using the gel, make this DIY skin moisturizer using Aloe Vera, and you will have a soothing, soft moisturizer for your skin. Plus as a moisturizer, aloe vera is easy to use, can be stored for weeks and months without a hassle. Scoop out 5 tbsp. of aloe vera in a bowl. Blend it in a blender. Now, add ½ cup of coconut oil in a bowl. Add aloe vera gel to it. Use a hand blender to mix the ingredients. Keep on mixing till you get a fluffy consistency. Add 2-3 drops of essential oil. Transfer the contents in a glass container and store in the freeze. This moisturizing lotion is best used after the bath as it will lock the moisture. Plus, unlike cosmetic products, this doesn’t contain wax or paraben. Your eyes get so tired while working on the computer or handling everything all day long. So, you need a soothing product for those eyes. Aloe vera skin benefits include their positive effect near the skin around the eyes. It can reduce eye bags and dark circles. Plus, you can make an aloe vera eye cream right in your home. Make a mixture of all the ingredients. The mixture should look a paste. Store it in a container, in a refrigerator and apply as needed. Massage around the eyes to reduce dark circles and puffiness. 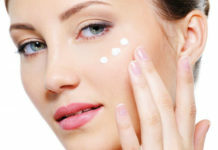 The product can be used as the night cream. This mixture can easily last 7-14 days. Mix all the ingredients together for a lotion or cream like consistency. If you are using coconut oil, the consistency would be more solid when the gel is kept in the fridge. Alternatively, else, you can increase the amount of aloe vera to increase gel-like appearance. Apply every day before leaving for work for a soft, smooth and shiny skin. Heat a pot on the burner. Keep a heat-proof bowl on the pot. In the bowl, add 1/8 cup of grated beeswax with 1/3 of coconut oil and ¼ cup of sweet almond oil. Mix a cup of cocoa butter into the mixture. Make sure that the ingredients are melted. Once that’s done, add lavender essential oil, just a few drops. On the top, mix in 1 ½ tbsp. of aloe vera gel. Let it cool to form a lotion. This rich lotion will leave your skin soft while you will feel refreshed by the aroma. So it’s even better than a regular, expensive lotion! Aloe Vera benefits for the face are endless. However, this plant is so good that you should use it throughout the body. The anti-inflammatory and anti-bacterial properties of aloe vera can keep your skin nourished and protected. Pour water in large saucepan. Slowly add caustic soda till it is dissolved. Make sure that your body is protected and avoid splash because caustic soda can cause burns. Meanwhile, in a different saucepan, heat olive oil, stir in beeswax slowly. Remove it from the heat and add mineral water-caustic soda mix to the olive oil mixture. Now, stir occasionally on the gas till the mixture thickens. It would have a light mayonnaise type of consistency. When the consistency is accurate, stir in aloe vera juice and essential oil. Make sure not to create any foam. Now, pour the mixture on paper lined soap molds (easily available in the market). Tap to remove bubbles. Let it stand for 2 days and cut the bars for your herbal soap. Ideally, the bars should dry a month, occasionally turned before usage. However, you can use it directly as well. 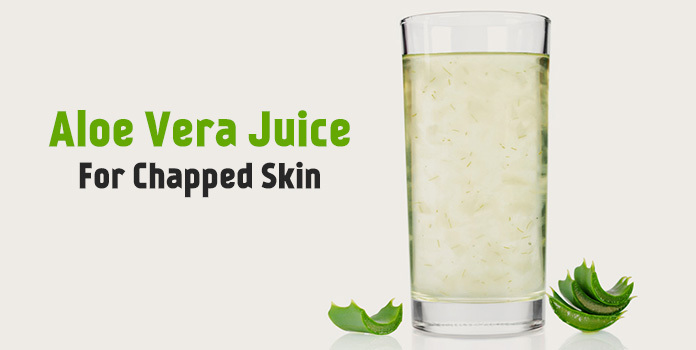 Aloe Vera can brighten and nourish your skin while removing dead skin cells. If you cannot make a lotion or soap at home, you can still try this easy to make DIY Scrub that will certainly heal your skin. Mix all the ingredients together. Make sure that the consistency isn’t too liquid. The mixture can be kept in the container and stored for days in a fridge. For usage, just gently scrub it on the body. Use it twice a week for best results. The benefits of aloe vera for skin are infinite. Moreover, you should be using this gift from Mother Nature often. However side effects of aloe vera are minor but you should take a look on them too. Have any queries about how aloe vera should be used? Or have you tried any of these tips? Share your comments below. Also Read: How to Grow Aloe Vera Plant? Full Guide.